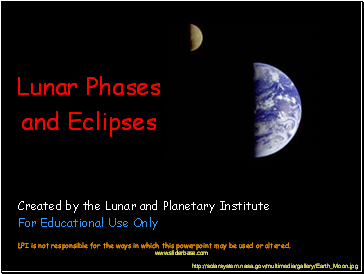 LPI is not responsible for the ways in which this powerpoint may be used or altered. 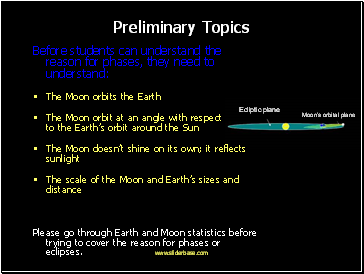 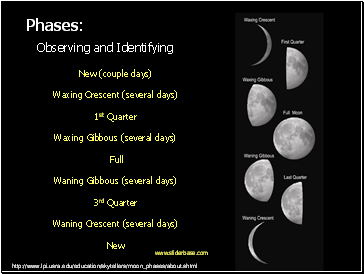 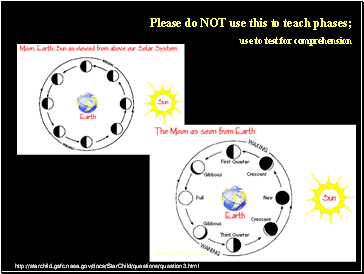 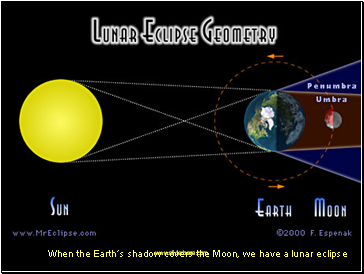 Please go through Earth and Moon statistics before trying to cover the reason for phases or eclipses. 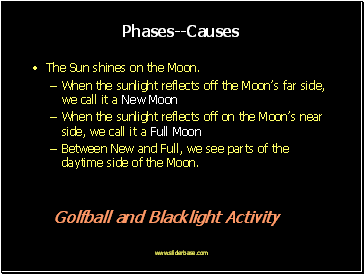 The Sun shines on the Moon. 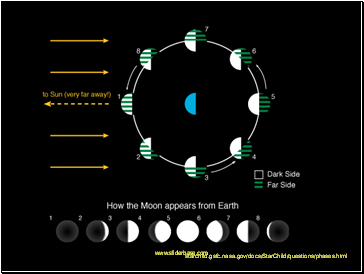 Between New and Full, we see parts of the daytime side of the Moon. 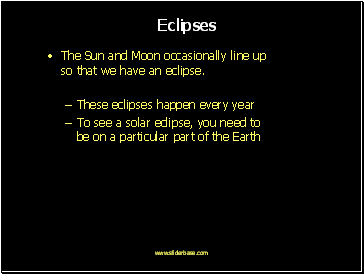 The Sun and Moon occasionally line up so that we have an eclipse. 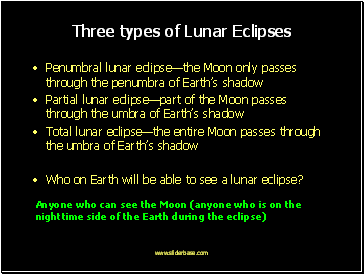 Why is the Moon red during an eclipse?